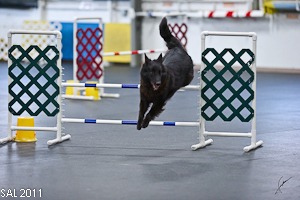 My name is Sharon Lafuse and I own 3.2.1..Liftoff Agility Dogs,LLC. My breed of dogs is Belgian Sheepdogs. My very first Belgian Sheepdog was Roll-In Amebae of Pet-E-Gree (DOB 12/1966). As a teenager, I trained her in obedience and showed her some in conformation. After graduating from college and moving to Texas (to work as an engineer at NASA Johnson Space Center) I obtained my second one - Chieho’s Schannai CD in 1977. Since then I have bred a few litters, shown in obedience and conformation. 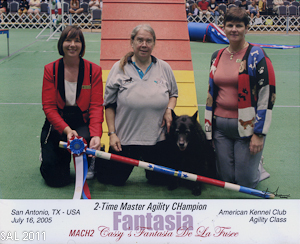 Since 1993 I have concentrated on agility, with occasional trips to the obedience and conformation rings. I retired from NASA/Johnson Space Center in August 2008 after 36 + years and relocated to Eldorado, Ohio.